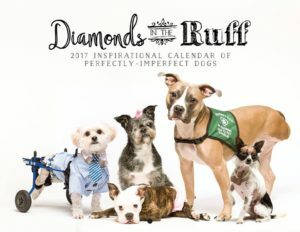 2017 Calendar featuring me, and other perfectly imperfect dogs. Click here to buy the calendar! Each page features a photo of myself or a fellow furry friend, accompanied by an inspirational quote that you can enjoy throughout the year. With each purchase, 25% of the proceeds will go to helping special needs animals.